These pages offer a library for rendering SVG graphics with Delphi. 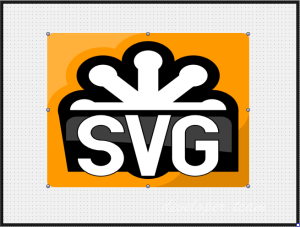 SVG stands for “Scalable Vector Graphics”, it is an XML based format developed by the World Wide Web Consortium for 2D vector graphics. Delphi is a software development tool based on the Pascal programming language. SVG source files are human readable. It is an open format. Most graphic applications offer functionality for producing SVG images or at least support the format for exporting. Also most internet browser can display SVG graphics. For automatic generation of raster images, icons, glyphs, png etc. SVG graphics are not the most efficient to use in an application. A bitmap will always be much faster to render on the screen than a SVG graphic, but unlike a bitmap, the SVG graphic will scale without losing quality, and, you can always make a bitmap from an SVG but not the other way around. I have put in lot of effort to bring the library up to it’s current standard, many companies and individuals are using the library, and thanks to there feedback I have made many improvements and will continue to do so. For evaluation purposes there is a free demo package available and a number of free demo applications with which you can test the SVG implementation. Improved functionality for finding SVG elements by coordinates, for SVG mouse events and ObjectAt function.